Eurocode 3: Design of Steel Structures. Part 1-8 Design of Joints. Eurocode 4: Design of Composite Steel and Concrete Structures. Part 1-8 Design of Joints. Design of steel structures: Part 1-8. Joints in composite construction are also addressed through references to Eurocode 4. Design of composite steel and concrete structures. Part 1-1: General rules and rules for buildings. Attention has to be duly paid to the joints when designing a steel or composite structure, in terms of the global safety of the construction, and also in terms of the overall cost, including fabrication, transportation and erection. 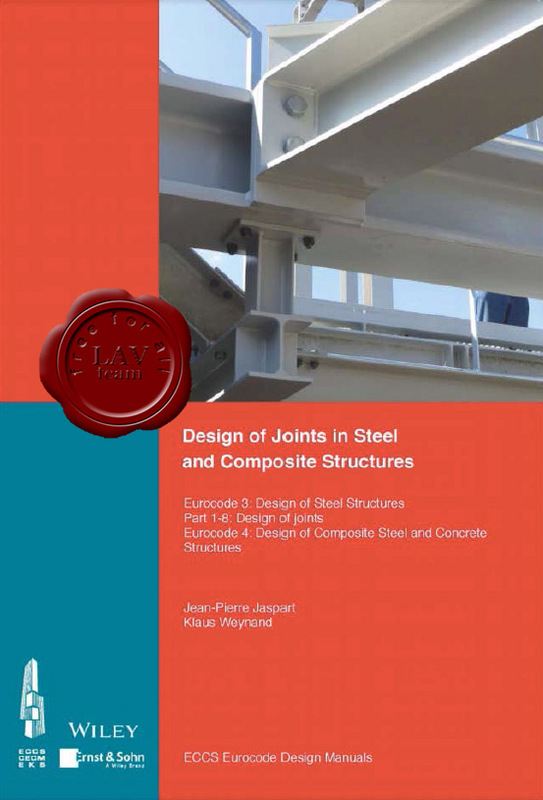 Therefore, in this book, the design of the joints themselves is widely detailed, and aspects of selection of joint configuration and integration of the joints into the analysis and the design process of the whole construction are also fully covered. Connections using mechanical fasteners, welded connections, simple joints, moment-resisting joints and lattice girder joints are considered. Various joint configurations are treated, including beam-to-column, beam-to-beam, column bases, and beam and column splice configurations, under different loading situations (axial forces, shear forces, bending moments and their combinations). The book also briefly summarises the available knowledge relating to the application of the Eurocode rules to joints.